This can be applied to the event industry by professionals working to build a welcoming event environment where all attendees feel they can express themselves creatively, share their opinions, learn and have a good time. 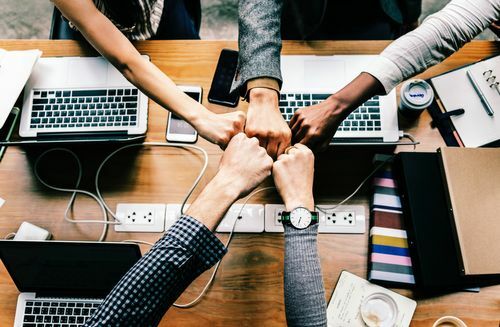 In this blog, we will touch on some ways you can make inclusion and diversity a top priority during the entire event process. Start with your team! It should be made up of people from different backgrounds, organizations, cultures and more. A team that represents a variety of communities will naturally incorporate different points of view. You wouldn’t want a group of white men planning an event that focuses on recognizing women of color. By having a more inclusive group you will get a different perspective and gain a better understanding of your target audience. Overall the type of team you have will reflect the diversity you hope to have at your event! Getting the local community involved can be extremely beneficial and give attendees a chance to learn about the city around them, even if they don’t leave the hotel or event space. Look into providing locally sourced food, ask community leaders to speak and hire local musicians to perform. These community leaders, organizations, creatives and businesses can provide a unique lens and view of the city experience and help introduce an element of diversity into the environment. In order to host a more inclusive event, you need to ensure that everyone feels welcome and that starts with marketing. Pay attention to language and imagery. Have you used wording or images that will read as offensive or alienate any of the communities you are trying to reach? A message could mean one thing to you but may carry different meanings to others. If you’re hosting an event that includes members of the LGBTQ community, your marketing shouldn’t just feature heterosexual couples or use heteronormative language, and if you’re trying to reach multiple racial groups, avoid images or wording that only portray one because it could be read as exclusive. Speakers and panelists represent your event and if your goals include diversity and inclusivity, you should encourage sponsors, partners and companies with stage time to be inclusive of who they choose to speak. Diversity can mean speakers of different ethnicities, races, ages and genders. It can also mean having speakers from outside attendees’ professions, social groups and more to offer fresh perspectives. Speakers of different demographics will create a representative event for attendees, could lead to a more diverse guest list and ultimately drive innovation and creativity at your event. If you will be serving any food be sure to accommodate dietary restrictions. Incorporate a dietary section for attendees to fill out during registration. This can include a checkbox where they can mark food allergies and preferences and a few questions to get a better idea of what they will need. 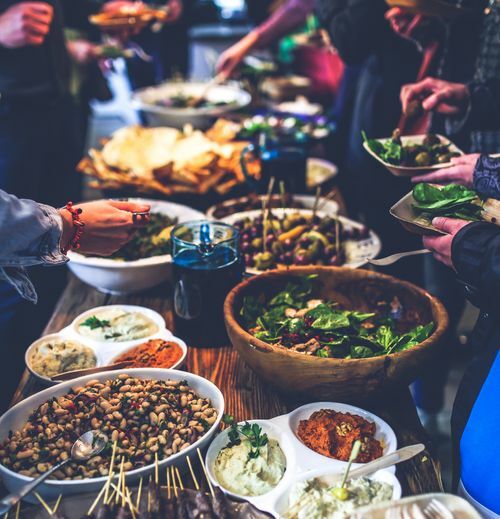 If there are attendees with multiple dietary specifications, choose a cuisine that accommodates all of the restrictions on your list and if your food will be served buffet-style, make sure that everything is labeled clearly. Does your event date conflict with any major religious holidays? On days of special observance, people may have traditions that are significant to their family, culture and religion making them unable to attend events. To help yourself plan ahead, visit the 2018 Calendar of World Religion Times - Interfaith Calendar! Does your venue have a gender neutral bathroom? Gender neutral bathrooms offer a sense of safety and comfort to guests of the LGBTQ community. Are you going to provide a lactation space? New moms may be more likely to attend if they have a private place to pump and it will help them feel comfortable throughout your event. Will you offer wireless headphones to benefit new moms and other attendees? It can take up to an hour to pump, but with wireless headphones, attendees can listen into presentations without missing anything. The headphones also cater to various learning styles and offer multiple channels, so guests who speak different languages can listen to translated versions of presentations and sessions. The more you know about your target audience and potential attendees, the more inclusive and successful your event will be. We encourage you to research more ways that you can bring inclusivity and diversity into your event environment! You can start by reading our blog, “Creating Accessible Events”, to learn about some ways to accommodate attendees with disabilities!